While naysayers may think corporate greed is the answer, Blizzard tells Kotaku the real reason World of Warcraft mounts have shown up for sale in the company's online store is because that's exactly what the players wanted. The overwhelming response to yesterday's addition of the Celestial Steed in-game mount for World of Warcraft to the Blizzard store backs up comments we received today from Blizzard PR man Ryan Arbogast. 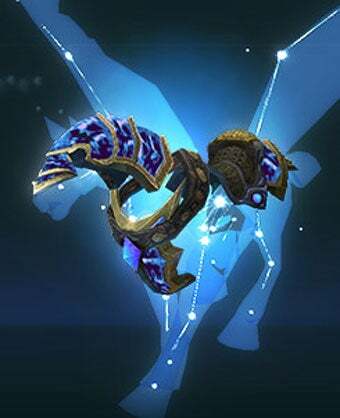 Purchase queues began forming soon after the virtual item went on sale, with players in the forums reporting upwards of 12,000 folks waiting at the virtual cash register at one time for a chance to purchase the translucent flying mount. Wow.com reported yesterday that at one point the number topped 140,000. Ryan says, "After we launched the Pet Store, we received many requests to offer mounts as well. We created the Celestial Steed as a result of those requests, and the response from the community — including all of the players here at Blizzard — has been very positive." And for those concerned that selling such a mount might result in balance issues between the have and have-nots, Ryan assures players that the new mount represents a cosmetic change and nothing more. "As with the pets available in the Pet Store and the mounts that can be acquired through the World of Warcraft Trading Card Game, it was important to make sure that the Celestial Steed offered a fun way to customize a character's look without detracting from the gameplay," We think the Celestial Steed looks pretty cool, but it's ultimately optional and just another way for players to adjust how their characters appear in game.